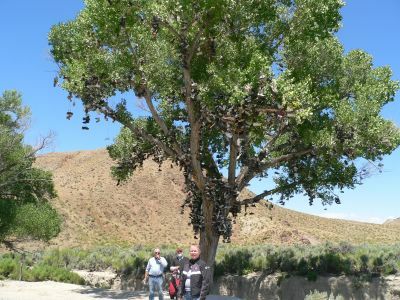 The Shoe Tree, between Austin and Fallon, NV. This had been a landmark for years. There are hundreds of shoes up there.